Stephen Wilkins is the Director of Marketing & Outreach at Commonwealth Land Trust. 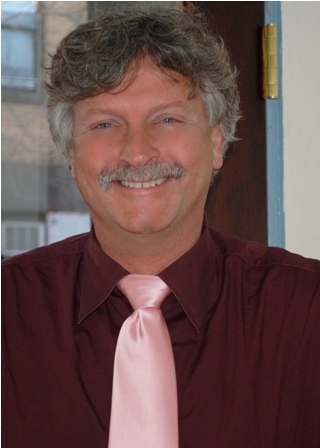 He is a drug and alcohol counselor and specializes in housing search and advocacy. The following interview was conducted by Holden Sparacino while he was a Northeastern University senior and development and communications intern at CLT. Q: How long have you worked at Commonwealth Land Trust? Q: How did you get involved with Commonwealth Land Trust? A: I began my career in human services agencies, working with the elderly, adolescents, and people living with HIV. I was recruited from AIDS Action Committee to be a property manager at Commonwealth Land Trust because I was interested in real estate and CLT had buildings set aside for people struggling with mental health challenges, substance abuse disorders, and HIV. I realized how important securing permanent housing is to recovery and clients’ ability to manage their health. This was during the onset of the AIDS epidemic and many of the people coming to us were in very desperate need of housing and supportive services. Q: What are your primary responsibilities? A: I conduct marketing and outreach to outside service providers and housing applicants. I work with social service agencies, homeless shelters, and hospitals to build connections and generate referrals, so Commonwealth Land Trust can continue to house as many homeless people as possible. I meet with clients every week and conduct open houses and intake assessments. If we’re not able to house a particular individual, then I do my best to refer them to an agency that will better meet their needs. I also provide trainings on the housing application process. There’s a great degree of complexity to subsidized housing and I’m happy to share my knowledge of the rules and regulations associated with the housing authorities and securing permanent housing. Q: Do you have a favorite project or program that you’ve worked on? A: Yes, I really enjoy administering the project based voucher (PBV) program at Commonwealth Land Trust. The PBV program targets homeless and disabled individuals, and provides them with a room in one of our supportive housing programs. If the client remains in good standing for a year and feels ready to move into independent housing, then he or she will receive a mobile section 8 voucher. This voucher always depends on public money being available. At this point, the program is frozen, but when it is not it allows the client to relocate to a 1-bedroom apartment. The PBV program allows people to work through the issues that led to their homelessness in a supportive setting, while maintaining the goal of independence. It’s an excellent program that has had a profound impact on the lives of hundreds of people. Q: Has there been anything surprising or unexpected that you’ve encountered during your time at Commonwealth Land Trust? A: It’s always nice to see folks who have moved on from our housing and are grateful for the time they spent here. For example, I attended the Boston Living Center’s annual Thanksgiving dinner a couple months ago and I saw dozens of former clients. At least twenty people came up to me and let me know how great they’re doing and how much our housing has meant to them. It’s great to see people who are thriving and having a good time! Q: Any other comments you’d like to share? A: The staff at Commonwealth Land Trust is top-notch and I’ve worked with some folks for ten, fifteen, even twenty years. We work really well as a team, which is especially important because of the demanding nature of the work we do. Drug and alcohol counseling, mental health counseling— these are not glamorous or easy things to do every day. But they are critical services and everyone on staff has an admirable level of commitment to our clients.